The widely acclaimed book, considered by many to be the author's masterpiece, was first published in Spanish in 1967, and subsequently has been translated into thirty-seven languages and has sold more than 30 million copies. The magical realist style and thematic substance of One Hundred Years of Solitude established it as an important, representative novel of the literary Latin American Boom of the 1960s and 1970s, which was stylistically influenced by Modernism (European and North American) and the Cuban Vanguardia (Avant-Garde) literary movement. Gabriel García Márquez was one of the four Latin American novelists first included in the literary Latin American Boom of the 1960s and 1970s; the other three writers were the Peruvian Mario Vargas Llosa, the Argentine Julio Cortázar, and the Mexican Carlos Fuentes. 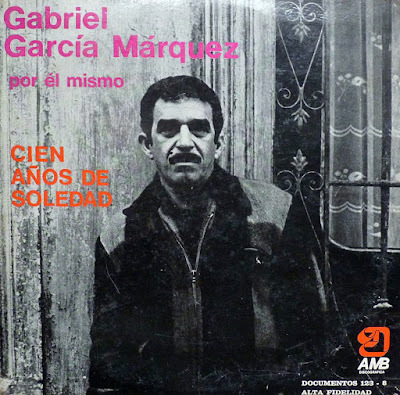 One Hundred Years of Solitude (1967) earned García Márquez international fame as a novelist of the Magical Realism movement within the literatures of Latin America. As a metaphoric, critical interpretation of Colombian history, from foundation to contemporary nation, One Hundred Years of Solitude presents different national myths through the story of the Buendía Family, whose spirit of adventure places them amidst the important actions of Colombian historical events — such as the Liberal political reformation of a colonial way of life, and the nineteenth-century arguments for and against it; the arrival of the railway to a mountainous country; the Thousand Days' War (Guerra de los Mil Días, 1899–1902); the corporate hegemony of the United Fruit Company ("American Fruit Company" in the story); the cinema; the automobile; and the military massacre of striking workers as government–labour relations policy. One Hundred Years of Solitude is the story of seven generations of the Buendía Family in the town of Macondo. The founding patriarch of Macondo, José Arcadio Buendía, and Úrsula Iguarán, his wife (and first cousin), leave Riohacha, Colombia, to find a better life and a new home. One night of their emigration journey, while camping on a riverbank, José Arcadio Buendía dreams of "Macondo", a city of mirrors that reflected the world in and about it. Upon awakening, he decides to found Macondo at the river side; after days of wandering the jungle, José Arcadio Buendía's founding of Macondo is utopic. Founding patriarch José Arcadio Buendía believes Macondo to be surrounded by water, and from that island, he invents the world according to his perceptions. Soon after its foundation, Macondo becomes a town frequented by unusual and extraordinary events that involve the generations of the Buendía family, who are unable or unwilling to escape their periodic (mostly self-inflicted) misfortunes. Ultimately, a hurricane destroys Macondo, the city of mirrors; just the cyclical turmoil inherent to Macondo. At the end of the story, a Buendía man deciphers an encryption that generations of Buendía family men had failed to decode. The secret message informed the recipient of every fortune and misfortune lived by the Buendía Family generations. The fate of Macondo is both doomed and predetermined from its very existence. "Fatalism is a metaphor for the particular part that ideology has played in maintaining historical dependence, by locking the interpretation of Latin American history into certain patterns that deny alternative possibilities.The narrative seemingly confirms fatalism in order to illustrate the feeling of entrapment that ideology can performatively create." García Márquez uses colours as symbols. Yellow and gold are the most frequently used colors and they are symbols of imperialism and the Spanish Siglo de Oro. Gold signifies a search for economic wealth, whereas yellow represents death, change, and destruction. The glass city is an image that comes to José Arcadio Buendía in a dream. It is the reason for the location of the founding of Macondo, but it is also a symbol of the ill fate of Macondo. Higgins writes that, "By the final page, however, the city of mirrors has become a city of mirages. Macondo thus represents the dream of a brave new world that America seemed to promise and that was cruelly proved illusory by the subsequent course of history." Images such as the glass city and the ice factory represent how Latin America already has its history outlined and is, therefore, fated for destruction. Overall, there is an underlying pattern of Latin American history in One Hundred Years of Solitude. It could be said that the novel is one of a number of texts that "Latin American culture has created to understand itself." In this sense, the novel can be conceived as a linear archive. This archive narrates the story of a Latin America discovered by European explorers, which had its historical entity developed by the printing press. The Archive is a symbol of the literature that is the foundation of Latin American history and also a decoding instrument. Melquíades, the keeper of the historical archive in the novel, represents both the whimsical and the literary. Finally, "the world of One Hundred Years of Solitude is a place where beliefs and metaphors become forms of fact, and where more ordinary facts become uncertain." Technically, use of particular historical events and characters narratively renders One Hundred Years of Solitude an exemplary work of magical realism, wherein the novel compresses centuries of cause and effect whilst telling an interesting story.